What is the best ribbon to use in my thermal-transfer label printer? Most people never stop to think about whether they are using the most efficient, cost-effective ribbon for their every-day labels. They just keep ordering the brand that came with their Zebra or Sato label printer. But there have been many new advancements in ribbon technology that could help users save money on label costs and maintenance. So here are four good reasons to check and see if you are getting the best bang for your buck with your ribbons and how Weber's Go-Mark 100 ribbons might change your mind. One: What are you labeling? 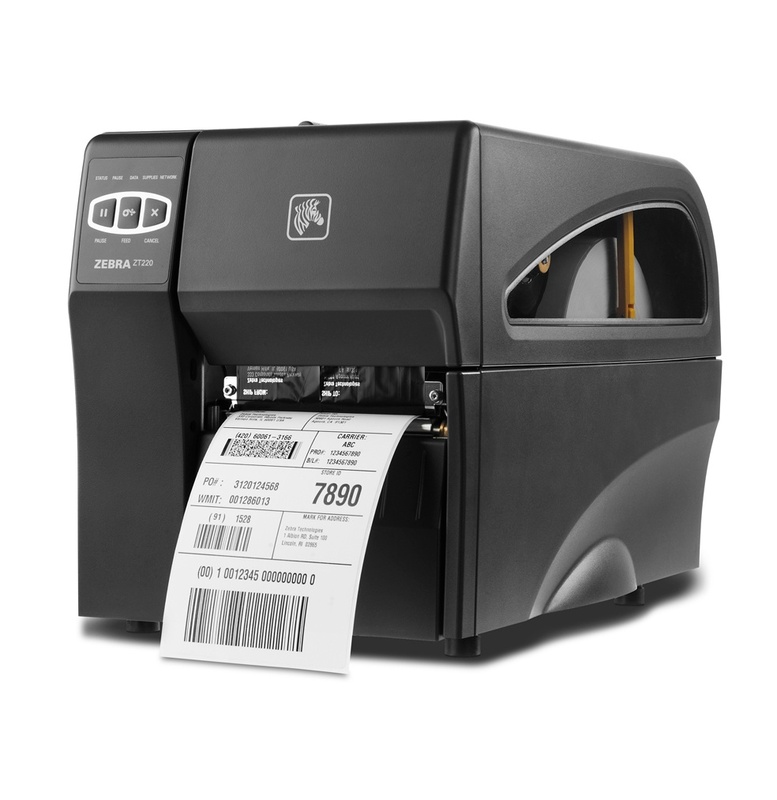 Most people that use thermal-transfer label printers from manufacturers like Zebra, Datamax and Sato are printing simple paper labels for bar code or shipping labels. These labels are mostly single use, applied usually to a shipping carton or envelope, and don't need to last more than a week or so. They get ripped off and throw away after the package arrives. Done. Barring any extreme handling or careless shipment, standard wax ribbons work just fine for shipping and bar code labels. Depending on the ribbon, you get a dark black transfer of the text or image onto plain paper labels that are fairly durable. But beware; some wax ribbons don't print dark enough or transfer the ink from the ribbon correctly, making the label hard to read. Buy quality wax ribbons from a good source. Weber's Go-Mark 100 wax ribbons feature a rich blackness for basic label printing applications such as shipping and product identification labels. The new ribbons are compatible with both coated and uncoated label materials, working well with flood-coated color labels, too. If you need a more durable print on your label, say for a label that will endure abrasion or needs to last more than a week, you can step up to a wax/resin formulation ribbon that will last longer. But the price increases, too. If you don't worry about harsh treatment or longevity, stick with simple wax ribbons. Also, be sure to pick a ribbon that fits the size requirements of your label. Don't use a 4-inch wide ribbon if your label printing area is only 2 inches wide. You can use a less-expensive ribbon by selecting a ribbon just slightly wider than the label width. For example, if you have only a 2" wide label, use a 2.36" width ribbon instead of a 4.06" ribbon which is more money per roll. But remember, it is important that the ribbon be slightly wider than the label to protect the printhead. One of the inherent problems with thermal-transfer label printing is keeping the print head happy. Inside each printer is a heating device that transfers the ink from the ribbon to the label surface. Read this blog of ours about to see how that works. The print head can get finicky when dirt and dust from the workplace (or just paper dust from the label roll) starts clogging it up. Your label will have areas of missing print indicating it's time for maintenance on the printer. And easy way to avoid this problem is to clean the print head after every ribbon change. But not many people want to take the time to open the print head and do the work. The new Go-Mark 100 wax ribbons from Weber now come with a built-in Clean Start leader that automatically cleans your print head as you load each ribbon. It takes care of the dust and dirt while maintaining your printer every time you change ribbons. Simple. And no more missing print or stopping production to do housekeeping chores. A thermal-transfer printer is a non-impact printer. With thermal-transfer printing, a thermal print head applies heat to a ribbon, which melts ink from the ribbon onto the label material to form the image. 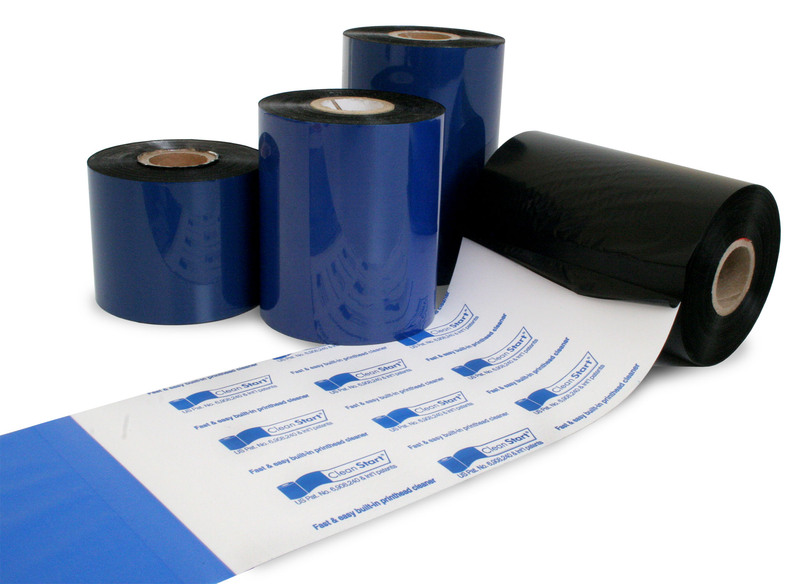 A typical thermal-transfer ribbon consists of three layers: the base material or ribbon backing, the hot melt ink, and the coating on the print side of the base material. Thermal-transfer printers are everywhere – from desktop units & industrial tabletop units to automated print and apply labeling systems. Since different ribbons are made of various ink formulations, a thermal-transfer heat setting can be adjusted on the printer for the given ribbon/label stock combination. Zebra printers require ribbons wound with the ink side out referred to as coated side out (CSO). Datamax printers require ribbons wound with the ink side in referred to as coated side in (CSI). Sato printers can use either configuration. How do you decide which ribbon type will produce optimal results and is best suited for your application? Label material and the application environment/requirements will play a major role in determining the proper ribbon. In thermal transfer printing, the printer, ribbon and substrate work together as a printing system. "Hey, Weber. Why can't I buy your labeling supplies online?" We heard you....so now you can!